Whichever way you cut it, it’s going to be a great night for Rachel Weisz when the Gothams are presented on November 26. 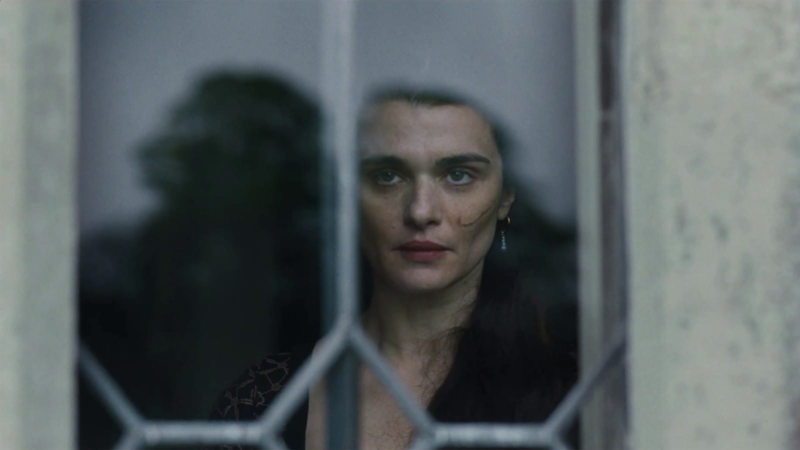 Last month, the Independent Filmmaker Project, which has organized the awards since 1991, announced that Weisz will receive this year’s Actress Tribute, and she’s sharing a special jury award for ensemble performance with Olivia Colman and Emma Stone for their work in Yorgos Lanthimos’s The Favourite—a film that, along with Paul Schrader’s First Reformed, leads the total number of nominations. Both films have scored three each. Recipients of other previously announced awards, by the way, include RadicalMedia founder Jon Kamen (Industry Tribute), Willem Dafoe (Actor Tribute), and Paul Greengrass (Director Tribute). Here’s a taste of what the critics have been saying about the nominees. As for the other three nominees, Barry Jenkins’s If Beale Street Could Talk, an adaptation of James Baldwin’s novel, “seems to move on unceasing currents of emotion, of love and pain, of big heartaches and small joys, of revelations and disillusionments,” writes Reverse Shot coeditor Michael Koresky. In Josephine Decker’s Madeline’s Madeline, we see the world through the eyes of a young aspiring actress played by Helena Howard, nominated in the breakthrough actor category. “The narrative might be shattered, but the film’s slipstream of emotion is powerful and inescapable,” wrote Bilge Ebiri back when we still had the Village Voice. And Chloé Zhao’s The Rider, focusing on a gifted horse trainer, actually premiered in the Directors’ Fortnight program in Cannes back in May 2017. It’s “exceptional among recent American regional-realist films,” wrote the New York Times’ A. O. Scott earlier this year. In 2013, the IFP changed the name of its Open Palm Award in honor of the cofounder of the independent film distributor October Films. As with the documentary contenders, all five of this year’s nominees saw their films premiere at Sundance. Ari Aster terrified audiences in Park City with his debut feature, Hereditary, and reviewing it for 4Columns, Nick Pinkerton’s found it “difficult not to catch a whiff of tannis root and Roman Polanski’s Rosemary’s Baby (1968).” At Slant, Niles Schwartz argues that Bo Burnham “illumines a ray of unequivocal authenticity” in Eighth Grade, in which Elsie Fisher, nominated for a Breakthrough Actor award, plays a teen at odds with the world. Jennifer Fox has based The Tale on her own experiences of being abused as a child. At RogerEbert.com, Sheila O’Malley has found the film “extraordinary and disturbing.” Crystal Moselle has followed up on her acclaimed documentary The Wolfpack with Skate Kitchen, a narrative feature about a real-life team of skateboarding women, and for the Austin Chronicle’s Marc Savlov, “exploring the niche subculture of this interracial, pansexual band of outsiders in all its mundane detail makes for a surprisingly sweet film.” And this summer in the Village Voice, April Wolfe wrote about Boots Riley’s “profoundly hilarious and disturbing and shocking and stirring directorial debut,” Sorry to Bother You. Deborah Davis and Tony McNamara are nominated for The Favourite, and so is Paul Schrader for First Reformed. Tamara Jenkins scores a nomination for Private Life, in which a married couple go through what Jenkins, in Maria Fontoura’s interview with her for Rolling Stone, calls “fertility hell.” Andrew Bujalski discusses his film Support the Girls and other movies about work on a recent episode of the Film Comment Podcast. And Cory Finley’s screenplay for his directorial debut, Thoroughbreds, in which a couple of high school girls plan a murder, “is full of sharp, exactingly timed exchanges whose rat-a-tat rhythms exert a spellbinding pull,” writes Keith Watson at Slant. IndieWire’s Eric Kohn spoke with Adam Driver when Spike Lee’s BlacKkKlansman premiered in Cannes. Driver plays the white face of the black cop who’s infiltrated the KKK and says that his character is “confronted for the first time in his life about whether his personal history is important.” In Debra Granik’s Leave No Trace, Ben Foster plays a vet suffering from PTSD and trying to raise a daughter. “He actually can’t function,” Foster tells Alex Heeney at Seventh Row. Marielle Heller’s Can You Ever Forgive Me? is “like a buddy road movie to me,” Richard E. Grant, who costars with Melissa McCarthy, tells Alissa Wilkinson at Vox. Also nominated are Ethan Hawke for First Reformed and Lakeith Stanfield for Sorry to Bother You. Reviewing Andrew Dosunmu’s Where Is Kyra? for the Los Angeles Times, Justin Chang turns at one point to Michelle Pfeiffer’s performance: “Remarkably, she doesn’t compete with the movie’s rigorous visual scheme; she completes it.” And in Hereditary, Toni Collette’s “operatic, hypnotic performance seals the deal every second she’s on the screen,” writes the Guardian’s Peter Bradshaw. We’ve mentioned Elsie Fisher (Eighth Grade) and Helena Howard (Madeline’s Madeline). Also nominated are Thomasin Harcourt McKenzie for her turn as Ben Foster’s daughter in Leave No Trace; KiKi Layne, who plays Tish in If Beale Street Could Talk—when Barry Jenkins called her up to tell her she was cast, “I just remember wanting to get him off the phone so I could scream and cry and call my mama,” she tells Kyle Buchanan in the NYT; and Yalitza Aparicio, “the beating, throbbing heart of Alfonso Cuaron’s Roma,” as Shinan Govani calls her in the Toronto Star. The Hollywood Reporter’s Hilary Lewis has the lists of the breakthrough series nominees, both the long and short form categories, and IFP members will be voting to determine the winner of the Gotham Audience Award from November 19 through 24.